Use of innovative simulations to produce high-quality results and accelerate product development, – we show how it works: On 20 September 2017, Advanced Design Technology (http://adtechnology.co.uk/) offers a one-day seminar on inverse design in Darmstadt’s Maritim Hotel. Prof. Mehrdad Zangeneh of University College London, one of the founders of Advanced Design Technology, will present two lectures on the theory and basics of inverse design methods. In contrast to geometry-based methods, inverse design algorithms methods use a prescribed optimal blade loading distribution to come up with a blade geometry. These methods can, therefore, reduce design iterations compared to conventional design processes. Dr. Nicholas Pedersen of the Danish pump manufacturer Grundfos will highlight the industrial use of inverse design methods. ISimQ will contribute two presentations to the seminar. The first discusses the “further processing” of inverse designs and their optimisation with CFD methods. The second talk focusses on new developments in rotor-stator interaction algorithms and harmonic balance methods which work in the frequency domain rather than in the time domain. 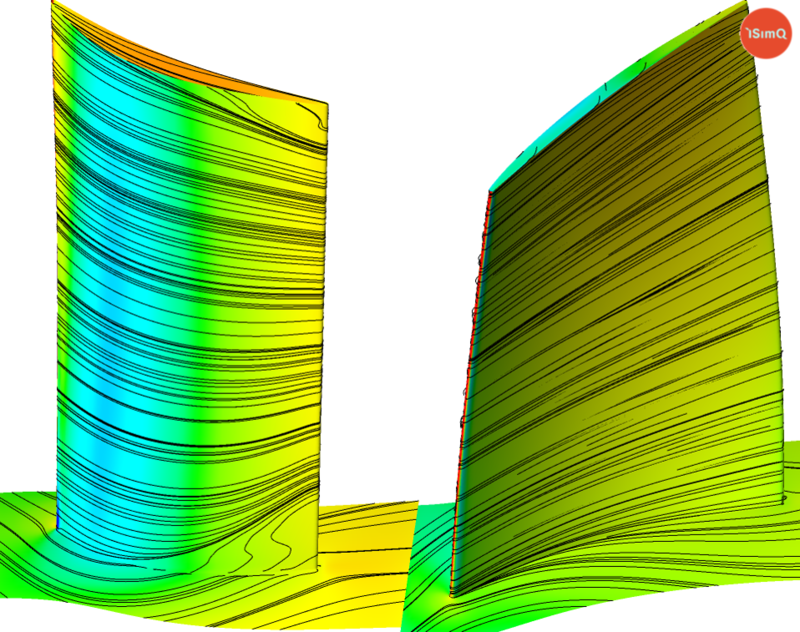 You can register at http://adtechnology.co.uk/knowledge-hub/turbomachinery-development-with-inverse-design-and-high-fidelity-cfd-seminar.